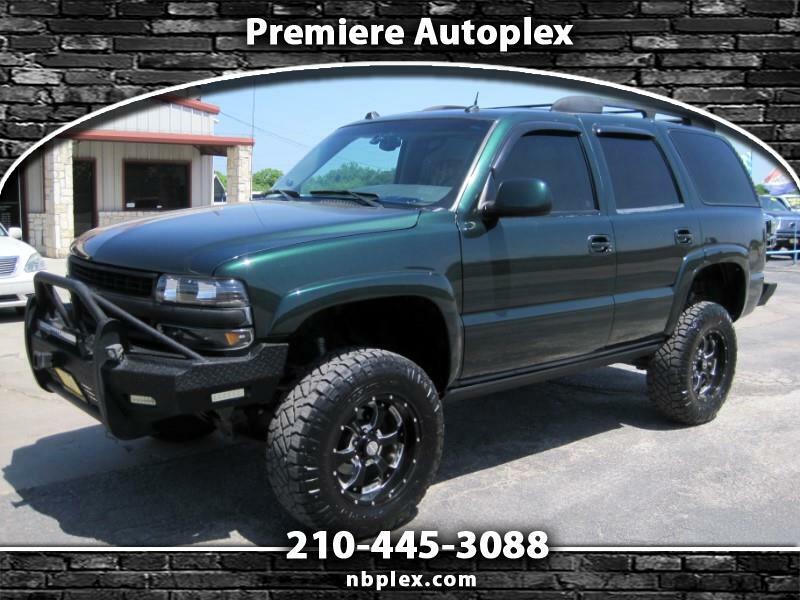 2004 Chevrolet Tahoe Z71 4x4, 5.3L V-8, Automatic, 5.3L V-8, Automatic, 6" BDS Suspension Lift with Fox 2.0 Shocks, 18" Sota Alloys, 33" Nitto Ridge Grapplers, Replacement front bumper with 6 leds and 1 led lightbar, Replacement rear bumper with 2 led cube cut ins, Amp Power Steps, Tow Pkg, Heated Memory Bucket Seats, Touch Screen App Stereo with Back-Up Camera, Bose Sound System, Camo Seat Cover Replacements, Dual Climate Control, Sunroof, Loaded !! With only 93k Miles ! !